Some people may find that leasing a car is more economical than purchasing a car. If you are someone who generally needs a car to drive to work and perform your daily errands, then leasing a car is definitely for you. Most dealers will give you one low monthly price on the lease as long as you keep the mileage under 10,000 miles per year. Car leasing is also a great way to drive a new car every couple of years without having to be stuck with the same car. You won’t even have to worry about repairing the car either as long as you’re not responsible for the damage. What you need to understand is that leasing a car is a little more complicated than purchasing a car. The manufacturer is often the one who sets the terms of the lease and many of these terms are non-negotiable. This means you won’t have as much leverage while negotiating down the monthly price of the lease. However, there are other ways you can negotiate the lease to reduce the price. Below are 5 tips which can help you negotiate the best possible leasing price for the vehicle that you choose. Have a Budget–Have a maximum price amount already in mind when you go to the dealership. That way, you won’t get suckered into making a deal on a lease that is more money than you wanted to spend. Learn Leasing Terminology–Dealers will use a lot of fancy leasing terms when negotiating with you. Make sure you understand the meaning of terms like cap cost, cap cost reduction, money factor, residual value, buy-out price, acquisition fee, disposition fee, and purchase option fee. Know What is Negotiable–After you’ve learned the leasing terms, you can learn about what is negotiable and what is not. The factors you can negotiate with the dealer are the cap cost, money factor, cap cost reduction, buy-out price, and cost of putting on excess miles. Know What is Not Negotiable – The non-negotiable terms are the residual value, acquisition fee, purchase option fee, and disposition fee. The best thing to do is choose a car with a high residual value. The acquisition fee is something you can’t get rid of, but you can still negotiate how you pay it. Try to have it applied to the monthly payments of the car rather than paying it upfront. And if you’re not purchasing the car after you buy it, then you won’t have to pay the purchase option fee. 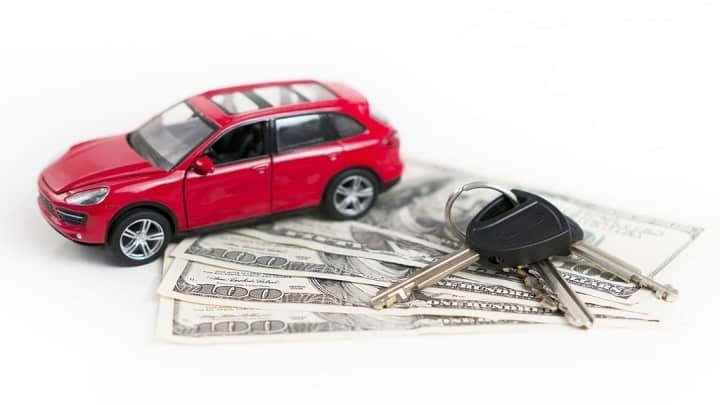 Plus, if you rent another car right after your current one, you may be able to avoid the disposition fee too. Choose a Car in Stock – Before you go to the car dealership to lease a car, you should have a list of car types that you are interested in leasing. Then call the dealership and ask them if they have the first car available that is on your list. If they don’t, go to the next car on your list and so on. Once you find a car that is in stock on the lot, the dealer will likely cut you a deal on it because they are eager to move it off the lot. If you were to request a car to lease that is not on the lot, the dealer will try and get it for you but then they’ll charge you more money for the trouble they went through in getting it for you. That is why you should only rent cars that are readily available on the lot. If you just need a car to get you around from point A to point B, then choose an economy car to lease. Unless you’re trying to show off to people by leasing a luxury car, there is no sense in leasing one of those and having to pay a lot more money for it each month. Just choose the most affordable option that has everything you need in a car.